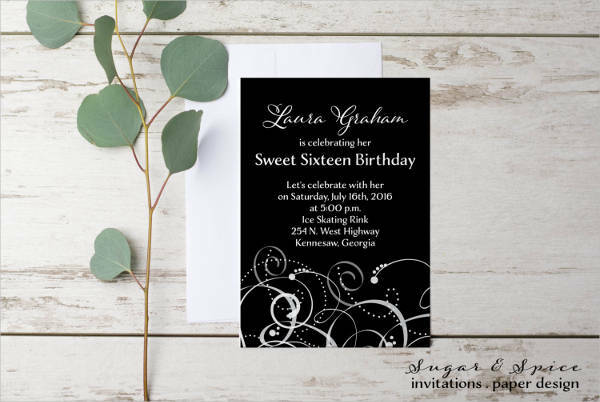 With your sweet sixteenth birthday months away and no one even attempting to begin planning it, you’re starting to feel the panic mounting. You’ve got the general idea, the theme, in the back of your head; but you don’t even know where to begin with the finer details. You’re overwhelmed from even trying to list down everything. But worry not, pretty dot! 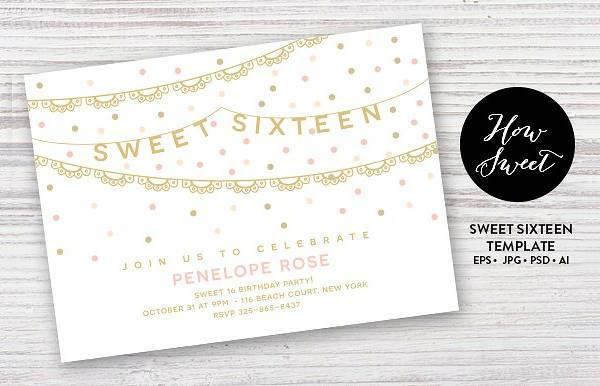 We’ve got just what you need in our collection of cool sweet sixteen invitation designs. 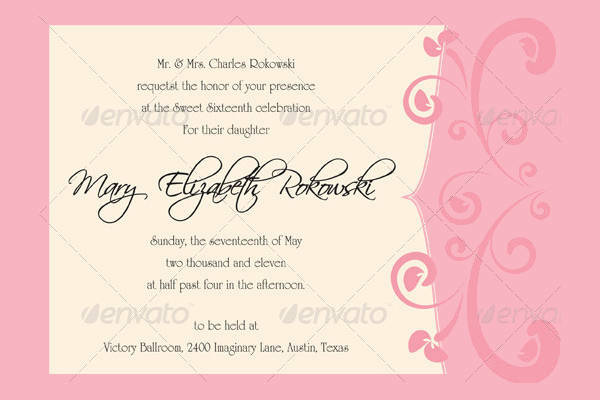 These Free Invitations come in a variety of designs and formats, such as, JPG, Vector EPS, and AI Illustrator. Go ahead and see for yourself! There have been several coming-of-age types of celebrations—rites of passage, as the majority would call them—that have been observed and kept through the years. 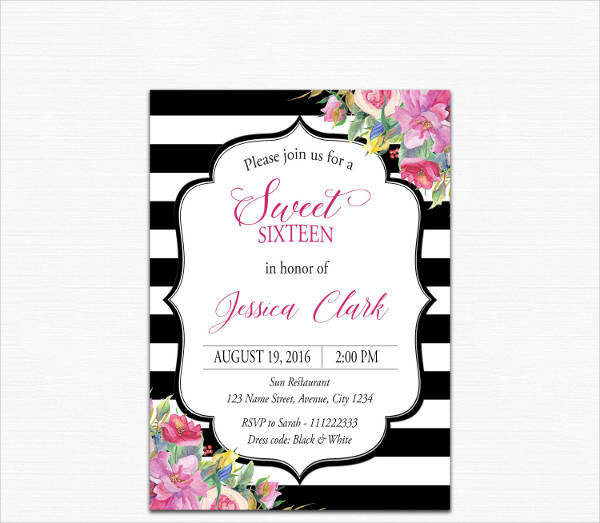 For the Hispanics, there’s the quinceneara; and in some parts of the world, ladies celebrate their eighteenth birthday as some form of launching into society. But there’s truly not quite like the sweet sixteenth. Whether you’re celebrating yours to keep up with tradition or societal norms or because you can finally have a driver’s license and your first taste of freedom, we know it’s gonna be a huge deal. 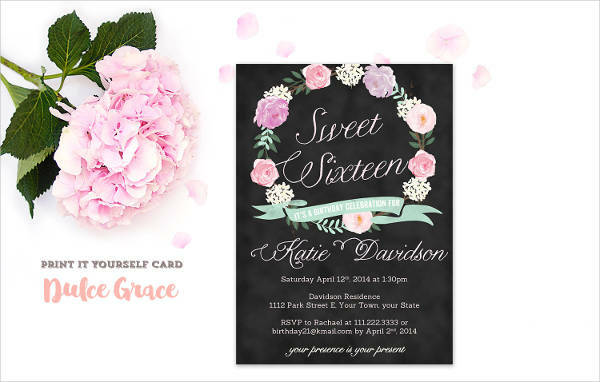 To start you off and get one thing off your plate, you can check out these sweet sixteen Party Invitation designs. Well, duh. But look at the quality and the designs. 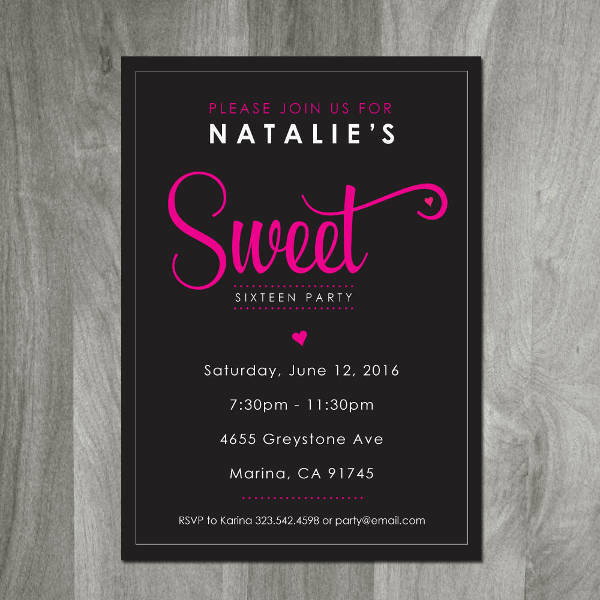 A lot of them can be used for any other birthday; it doesn’t have to be the sixteenth. 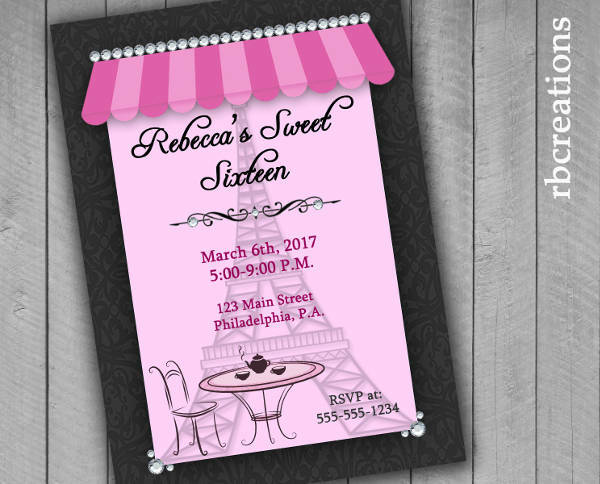 You can even get away with using “Cheap Sweet Sixteen Invitation” for your book club’s formal afternoon tea or something. The same principle mentioned in the previous bullet applies here. 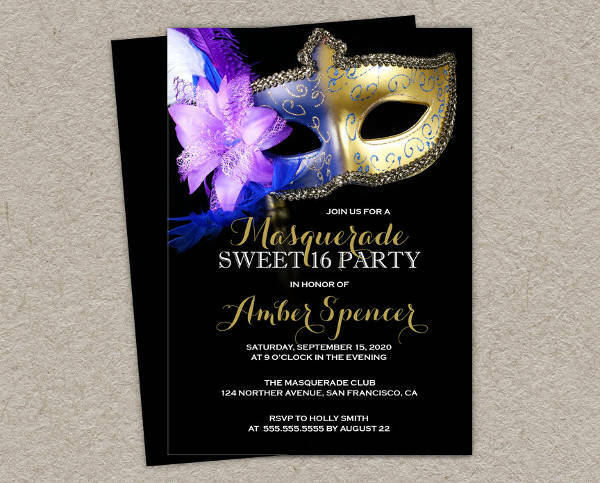 If your school dance is themed, you can go for masquerade with “DIY Sweet Sixteen Invitation Design” for your homecoming, bohemian with “Super Sweet Sixteen Invitation” for your spring fling, or postmodern jukebox with “Free Sweet Sixteen Invitation Design” for your Sadie Hawkins Dance. Like in so many of these design pages, we highly recommend you to tap into your artsy-ness and come out with some stellar stationery sets. You simply have to download, remove the text, and print. With all that said, you’ve only got to do one thing more: download.